The Department of Health and Human Services (HHS) has announced new guidelines requiring health insurance plans to cover several women’s preventive services on or after August 1, 2012. Among the inclusions are contraception and voluntary sterilization. According to HHS Secretary Kathleen Sebelius the decision is a result of the Affordable Care Act’s (ACA) efforts to prevent problems before they start. “These historic guidelines are based on science and existing literature and will help ensure women get the preventive health benefits they need,” she said. The Institute of Medicine (IOM) conducted a scientific review of women’s health needs and gave recommendations on specific preventive measures; HHS has now approved those recommendations. The new rules are one of the broadest and potentially popular provisions of the ACA. “Since birth control is the most common drug prescribed to women ages 18 to 44, insurance plans should cover it,” Sebelius said. “Not doing it would be like not covering flu shots.” The new rules also apply to annual “well-woman” checkups; screening pregnant women for diabetes; DNA testing every three years for human papillomavirus (HPV) — which can cause certain cancers in women 30 years and older; annual screening and counseling for HIV; counseling to determine whether a woman is at risk for other sexually transmitted diseases; breast-feeding support, counseling and supplies including breast pumps; yearly screening and counseling for domestic violence; and sterilization methods. Howard Koh, MD, HHS assistant secretary for health, estimated that by 2013, 34 million women between the ages of 18 and 64 will receive the benefits detailed in the new ruling. Although preventive care saves money by avoiding or delaying more costly chronic disease care, Koh said the new benefits will involve a “small” increase in premium costs. “For women’s health, this is historic — a really important turning point,” said Judy Waxman, vice president for health and reproductive rights at the National Women’s Law Center. 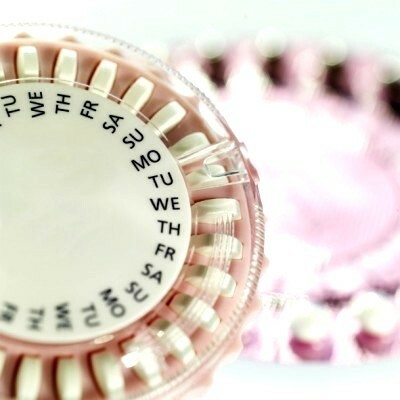 At present, women pay as much as $50 a month for birth control pills, even if they have insurance coverage, said Dr. Allison Cowett, director of the Center for Reproductive Health at the University of Illinois at Chicago Medical Center. For many women, this is a financial hardship and a disincentive to practice consistent birth control. Fully 95 percent of women who have unplanned pregnancies report using contraception only occasionally or never — often because it’s too expensive, according to the Guttmacher Institute, a nonpartisan research organization. Birth control has been shown to improve maternal and child health, in addition to reducing unwanted pregnancies and abortions. The new guidelines will not apply to religious institutions that offer health insurance to employees. Not surprisingly, health insurers also oppose the rules. The Institute of Medicine counters that the “direct medical cost of unintended pregnancy in 2003 was $5 billion, with a savings from contraception that year estimated at $19.3 billion. With nearly half of pregnancies unintended, there’s quite a bit of room to save money with free contraception.” One estimate of the cost of birth control for women is between $3,600 and $18,000 over a lifetime, depending on insurance, the form of contraception and other factors. Can the government make people buy insurance? The Affordable Care Act (ACA) has survived its first court test, an attempt in Michigan to overturn the mandatory insurance provision that requires Americans to buy minimum coverage. The ruling by U.S. District Judge George Steeh was in response to a lawsuit filed by the Thomas More Law Center, which had requested an injunction against the ACA on the grounds that it exceeds Congress’ authority and is an unconstitutional tax. The Thomas More Law Center plans to appeal Judge Steeh’s ruling. Facing a hostile approval process from Republicans in the Senate, President Barack Obama is making a recess appointment of Dr. Donald Berwick to head the Centers for Medicare and Medicaid Services (CMS), the agency that oversees Medicare and Medicaid. Berwick, a Harvard-educated pediatrician and Harvard Medical School professor, believes in improving the quality of healthcare so physicians are rewarded for better outcomes rather than on a per-procedure basis. Although it’s unlikely that this idea could be applied to the whole medical profession, Medicare and Medicaid are large enough that changing the traditional way healthcare is delivered would echo throughout medicine. Together, Medicare and Medicaid cover 100 million Americans – approximately one-third – and accounted for $750 billion of federal spending in 2009. According to the Congressional Budget Office, that totals 20 percent of the federal budget.